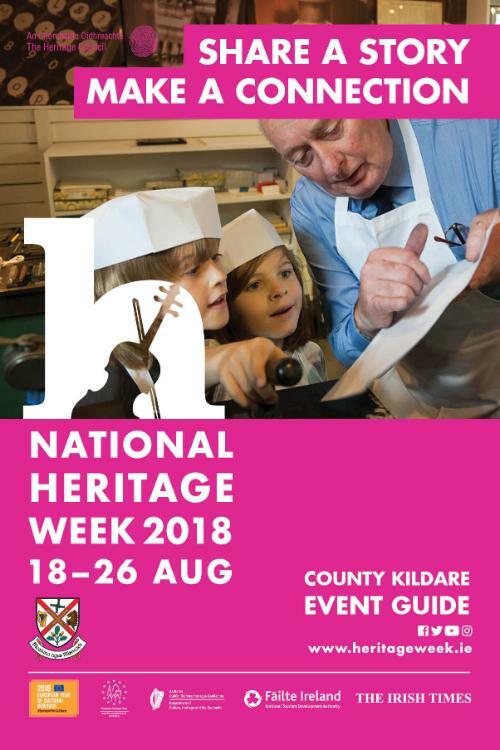 Heritage Week continues in Co. Kildare today, with over 134 events taking place between now, and August 26th. The theme for Heritage Week 2018 is ‘Make a Connection’, which aims to deepen the connection between people and heritage, and build a legacy of increased public engagement. Heritage Week is exploring this theme through ‘Sharing Stories’. The week is a chance to share heritage stories in new ways, with new people. Heritage Week is asking everyone, from young people, to new arrivals to Ireland, to retired people, to share their stories. During Heritage Week everyone will have the chance to connect with their heritage, to enjoy, learn about, appreciate and share it. Most events are free, but booking may be required. Nationally, 2,000 events are scheduled. Correction to Event 103 – Lullymore and its Environs on Saturday 25th August. Please be advised that the meeting point for this event is Lullymore Monastic Site.